Intrepid visitors can experience the sights and sounds of Tanzania's Serengeti National Park in the heart of Bedfordshire, where they will follow a village trail visiting a traditional Maasai dwelling and goat enclosure (boma) on the way to the lion viewing area. They will also be able to learn how herders share the environment with this awe inspiring king of the beasts. Our innovative viewing area offers uninterrupted views of our pride roaming the plains of Whipsnade, through three metre high floor to ceiling viewing windows. We have even constructed a 'kopje' or sculpted mound in front of the windows, which has proved to be a favourite haunt of the lions, allowing a real close encounter with the pride of Whipsnade! We have also included special feeding and demonstration areas where keepers will undertake their daily routines to ensure that as well as watching the lions up close, visitors will be able to hear them roar and even smell them! All in all, a truly sensory experience which introduces visitors to some of the complexities of practical conservation in this East African region. Lions were brought back to ZSL Whipsnade Zoo in 2005 for the first time since 1998. Meet Saturn, Max, Toto, Kia, and Neo face-to-face at ZSL Whipsnade Zoo. Be one of the privileged few to get up close and feed our pride of African lions with our special Meet the Lions experience. With an adoption pack, you can help to care for our lions at ZSL London and Whipsnade Zoo, and support our conservation work to protect lions in the wild. Find the perfect present for lion lovers in our online shop. Interesting facts about the king of the beasts, the majestic African Lion. In the wild the lifespan of lions is approximately 15 years, however in captivity it can be as long as 30 years. Lions reach sexual maturity at 2 years old and mate at all times of the year. The gestation period is 102-112 days which usually results in 2 to 5 cubs. Range constantly being reduced but not endangered yet. The WAP is threatened by encroachment of herders and livestock, agricultural expansion, illegal logging, unsustainable hunting for bushmeat and poaching for ivory and large carnivores. Go behind the scenes with one of our expert zoo keepers and spend time getting to know the lions in our pride, learn more about lions and feed them a tasty snack. This is a truly once in a life time experience! 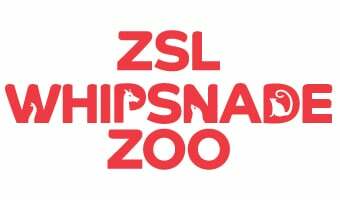 Please note that admission to ZSL Whipsnade Zoo is not included and must be purchased separately. This 20 minute VIP experience begins with a health and safety briefing from our expert zoo keeper who will then take you behind the scenes at the African lions exhibit. You will then help our zoo keeper feed a lion whilst learning more about these amazing animals. There will be a maximum of four people taking part in the experience, giving you lots of time with the lion and zoo keeper. Tip: Meet the Lions takes place behind the scenes and due to the small group size, spectators are not permitted access to this area. Meet the Lions is available for adults and children over the age of 12 years old; however children under the age of 16 must be accompanied by a participating adult who also has a valid Meet the Lions experience ticket. Unfortunately this experience is not wheelchair accessible. Guests with carers can get a carer ticket which lets carers enter the behind the scenes area free of charge, but carers will not participate in the experience. To get a carer ticket please call 0344 225 1826. Meet the Lions takes place at 3pm, Friday – Monday from April through to October. We also offer Meet the Lions as a gift voucher. Please visit our online shop here to book as a gift for someone. from April through to October. Make your day out at the Zoo even more memorable by meeting one of our incredible animals!